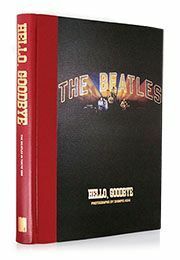 The latest limited edition from Genesis, Hello, Goodbye: The Beatles in Tokyo, 1966, celebrates the 50th anniversary of the Beatles' last tour. Featuring the rare photography of Shimpei Asai, these pictures have never before been published outside Japan. Asai's work intimately captures a fleeting moment, with all its controversy, Beatlemania and creativity, painting a poignant image of the band during their short but intense visit to Tokyo. Now, exclusively for Genesis collectors, six of Asai's photographs are to be presented as large format, archival prints. Four individual portraits taken in the Beatles� rooms at the Tokyo Hilton are reproduced as well as two group photographs � taken onstage at the Budokan and during their Tokyo press conference. All artworks are numbered and signed by Shimpei Asai. To find out more and to view the collection, click here.